eN Half Persian Pierced Earring - Pipperoo: deliver Japanese works to your countries. 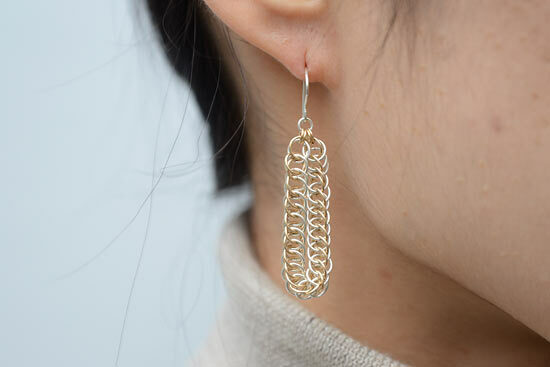 This earrings is made out of Silver925 and 14k gold-filled. 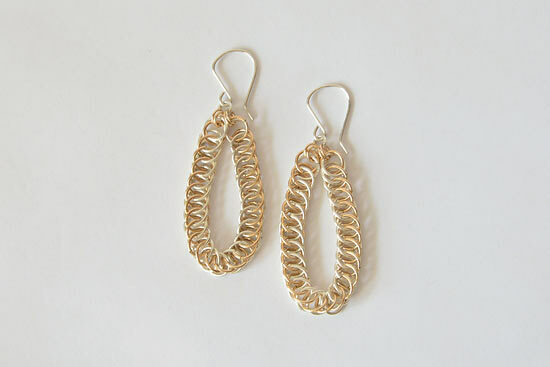 This accessories are made from many tiny handmade rings from wire and breaded to the chainmaille [Half Pearsian] with tiny rings, one by one. Breading the chainmaille is a kind of meditation for the artist, which makes the artwork a masterpiece. Please enjoy how swing your earring with each of your movements and you will love and enjoy it a lot.